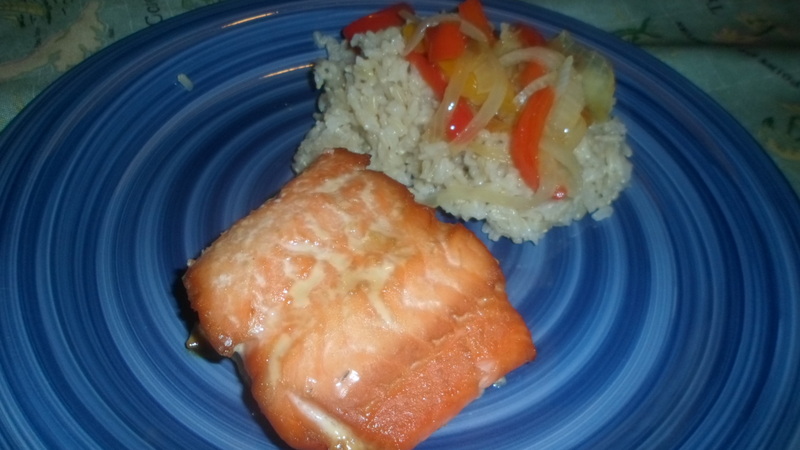 4 pieces salmon marinated in teriyaki wasabi ginger sauce – recipe follows. Bake at 350 for 30 minutes. Magic. Amazing. Delicious. We ate it with brown rice and caramelized onions and peppers.